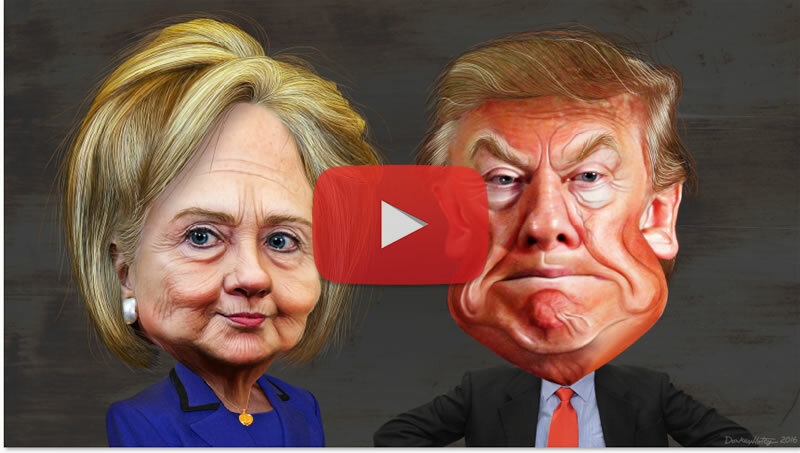 Hillary Emails Disaster Sees Trump Jump 29% in Betting Market Odds, Can He Win? A day on from the breaking of the Hillary Emails bombshell and the dust is settling in the betting markets to reveal a market jump in Trumps favour by 29%, that saw betfair's Trump price recover from an clearly unwinnable 6 to now stand at 4.3. Is it enough to win the election? We'll 4.3 is still substantially away from where Trump stood just before the 1st Presidential debate at 2.88, in advance of which I had concluded that given the trend trajectory at that time that Trump despite being behinf in the polls and the betting markets WOULD win the election given the anti-establishment Brexit factor. Since which time I added the Terminator factor as also working in Trumps favour. Still with less than 9 days to go, it really is proving a tough call on whether these two undocumented factors by the mainstream press, pundits, bookies and markets can achieve a Trump shock and awe victory. Especially given that every other day brings forward a swing in the opposite direction. The question is what shock news is going to come next ?, and maybe the one after that will it be anti Trump or anti Hillary, it could make all the difference as we count down to election day. However, despite my primary objective being one of trying to arrive at that which is the most probable outcome, everything I have seen in this process leads me to conclude that Donald Trump is a little bit insane, he clearly can't distinguish the difference between reality and fantasy, so one can imagine if he wins its going to be a very bumpy stock market ride! 15th Oct 4pm 1.19 6.6 Trump on life support, may decide to abandon campaign. 20th Oct 1am 1.21 5.8 Trump bounces going into 3rd debate. 23rd Oct 5pm 1.21 6 No sign of recovery, Brexit can't bridge this wide a gap. 28th Oct 1am 1.21 6 No change 5 days on. 30th Oct 5pm 1.33 4.2 Trump Hillary Emails boost. And lastly here's my last video analysis of 12th of October. But the betting markets say it all, the electorate is very volatile. And ensure you are subscribed to my always free newsletter to get my final conclusion in your email in box due within the next few days.